Now, I read that headline and I cheer! Exactly right! The federal government does not need to be destroyed. The federal government needs to be way, way deemphasized in everybody’s life. The federal government needs to become harder and harder to find and harder and harder to see. The federal government needs to become less of an obstacle, become less of a presence. The federal government should become less of a threat to everybody. But here this piece is: “Don’t Claim Trump’s Doing Nothing: He’s Destroying the Federal Government.” And this piece is filled with hysterics and tears over what Trump is doing to the government! It’s horrible what Trump is doing to the government. This is terrible. Now, it amuses me, don’t misunderstand, but I’m adopting the tone of the authoress here, and she is paranoid, scared to death. By the way, I think that’s true, as just a total aside from the story. The deep state is not just elected people. It’s far beyond that. It’s far beyond people who work in government. How many times have I told you, the deep state is people you never see, you don’t know. They’re the ones who have the money to enforce the orders that they give. John le Carré, in his 2013 novel A Delicate Truth, defines “the ‘deep state’ as a moneyed, cultured élite — the ‘non-governmental insiders from banking, industry, and commerce’ whose access to information allows them to rule in secret.” That is a quote from this source that the Salon writer is citing here. And it goes on. So she’s upset that Trump has put in a bunch of wealthy bankers and billionaires as his cabinet, and now they’re getting rid of the grunts in all of these bureaucracies, the career people who have been the bulwark for liberalism. They’re there, and when we talk about draining the swamp, sadly this Digby person is right on the money. 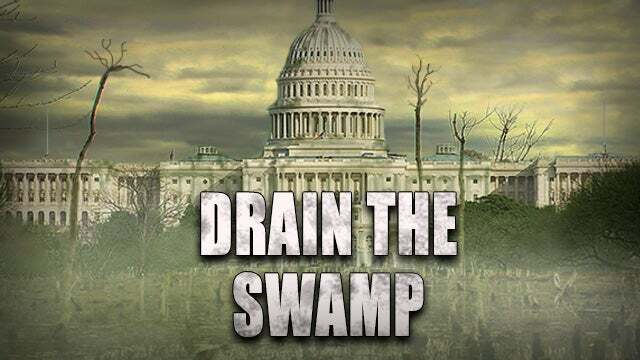 That’s what we mean by draining the swamp. Getting rid of the careerist leftists in all of these bureaucracies, never elected, never held accountable. They’re in there writing regulations, they’re permitting this, standing in the way of that. They are enforcing liberalism when it loses. The story goes on, abject panic over what Trump is doing, and he is doing it. Now, people are misunderstanding the importance of government to the left, I think. It’s not just that government has all the money and distributes it fairly and equitably, plays Santa Claus. That’s part of it, but the love for government involves much, much more than that. RUSH: Now, here’s why the government so important to leftists. Government is power. Government is the way they get to tell you to shut up. Government is what they get to use to tell you what you can and can’t do. Government is their enforcement mechanism and agency against conservatives and Republicans. That’s as much why they like it as anything else.